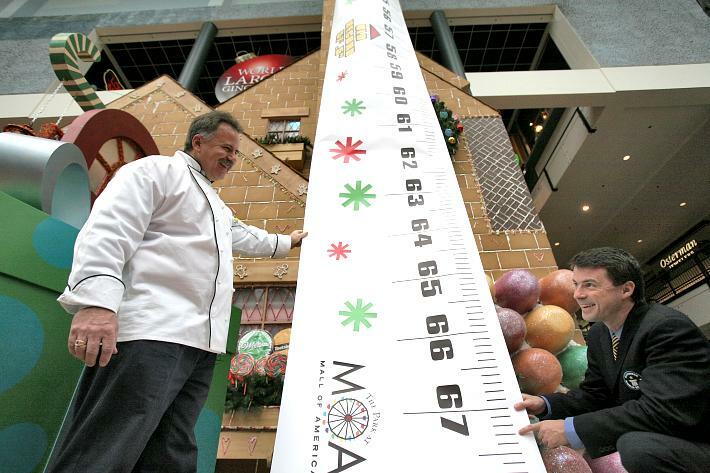 Guinness World Records Declares 67-foot World’s Largest Gingerbread House! Gingerbread experts logged an estimated 1,700 hours in nine days to create the 1,496-square-foot magical wonder. The house consists of 14,250 pounds of Gingerbread, 4,750 pounds of icing and more than one ton of candy embellishments. It also features a magical gingerbread factory complete with animated elves. Read More Here.